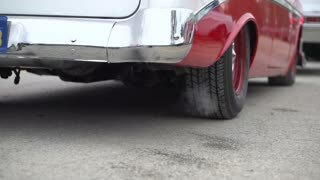 Search Results for "car smoke"
Removing dust from car carpet 4K. Woman holding dirty carpet and crashing it in to wooden pole on home backyard, car in background. 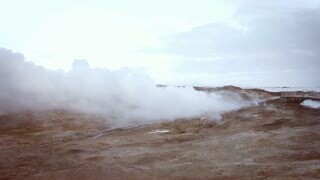 Dust smoke when hitting. 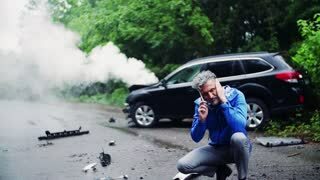 Close-up of a frustrated mature man making a phone call after a car accident, smoke in the background. Beautiful young woman making a phone call after a car accident, smoke in the background. 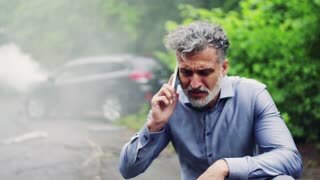 Close-up of a frustrated mature man making a phone call after a car accident, smoke in the background. Slow motion. Handsome mature man making a phone call after a car accident, smoke coming out from under the hood. Slow motion. 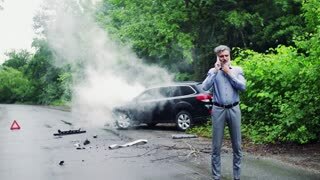 Handsome mature man making a phone call after a car accident, smoke in the background. A young frustrated woman making a phone call after a car accident, smoke in the background. 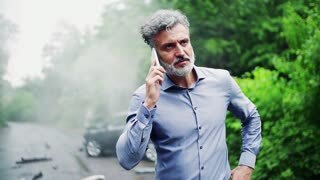 Handsome mature man making a phone call after a car accident, smoke in the background. Slow motion. 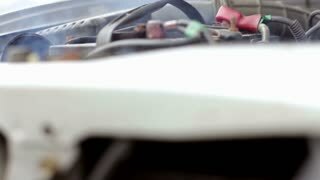 A broken car on the road after an accident, smoke coming out from under the hood. 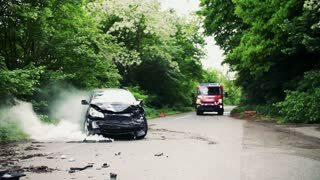 A fire engine coming to a crashed car after an accident on the countryside road, smoke coming out from under the hood. Slow motion. 1970s: Large plume of smoke rises into the air. 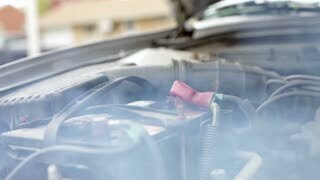 Smoke flows out of exhaust pipe on car, car drives away. Smoke rises from factory smokestacks. Cars drive down street. 1960s: Spectators watch race from middle of the track. 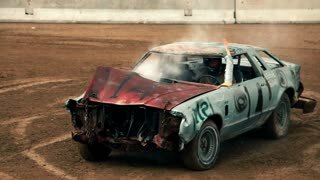 Stock cars swerve and spin on track. 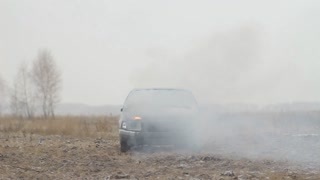 Cars smoke. 1920s: men pick up log and get hit by car. smoke clears with small wood in men's arms. 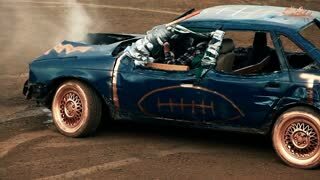 autos race over man in hole with pickaxe.